Recently, my mum and her husband sold their home in Brisbane. 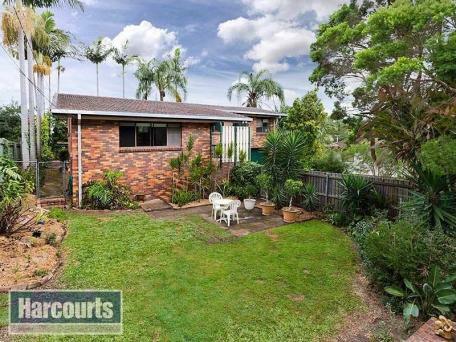 They have enjoyed living at their onsite van in a nearby caravan park for the last so many years, but a number of months ago, mum found the villa of her dreams in Currimundi, so they decided it was time to sell their home in Brisbane. Over the last so many months, the house has had a mini facelift. The walls have been painted, the bathroom has been retiled and modernized, carpets have been placed in the bedrooms, and the gardens have been freshened up. It looks pretty good. Then, before we knew it – the parents felt ready to put the house on the market. In the same week the house was put on the market – the agent surprised us all by presenting mum and her husband with a contract for sale. Our home didn’t quite make it to the open house. Three days it took to sell. The young couple who put the contract in loved it. They saw something very special in our old family home. What absolutely amazed me was that other potential buyers on the open house day – They all gave their details to the agent, because If for whatever reason the contract fell through – they wanted to be next in line. I must admit to you that this was a shock – my brothers and I, and our partners have been telling mum to relax and not get excited, afterall, it can take months for homes to sell. So you can only imagine how flabbergasted we all were when we were told that they not only had a contract – but they had signed it, and signed a contract for their new home on the Sunshine Coast. While the buyers made the contract subject to all the normal possible issues, these people had fallen in love with our family home and were determined to buy it. It was a bittersweet moment when I was told about the sale of this house. I had been saying for years that it was time to sell. For a variety of reasons, I felt quite detached to the house, but the buyers enthusiasm interested me. They saw ‘treasure’ in this home. While we had all outgrown and moved away from this house, they saw possibility. I had not lived in this home for almost 18 years, so I felt rather detached and somewhat critical of the ‘family home. Recently, I dropped in and spent a little time with my brother and his wife who have been living at the house, and I had a moment where I was reminded of the many good times, and the fun we had there. If only walls could talk – although its probably good that they don’t, but it was nice being there. The house holds a lifetime of memories for us all – some great family memories. Selling the home where we grew up and left home reminds me how short life really is. In some respect it feels like yesterday that I was living there as a teenager, but in other respects it feels as though it was a whole other world ago that I lived there. As a family we are about to create fresh new memories at mum’s new place, but there is a part of me that would really love to know what it was about our old family home that enticed this young couple to buy it, what exactly is this treasure they saw….was it a thing, or was it the many possibilities they could do with this sturdy brick home with pot belly stove? I get this feeling that I somewhere and somehow have missed this piece of treasure, and I’d just love to know what this treasure is before its too late, and I never have the chance of knowing what it may have been. On the other hand, maybe I do know what it is already, but because I take it for granted, I don’t think of it as treasure? Do you ever get the feeling that you just need to know before the door closes forever?